This concert features only the concert version of Purcell’s opera. Total program length is approximately 45 minutes. 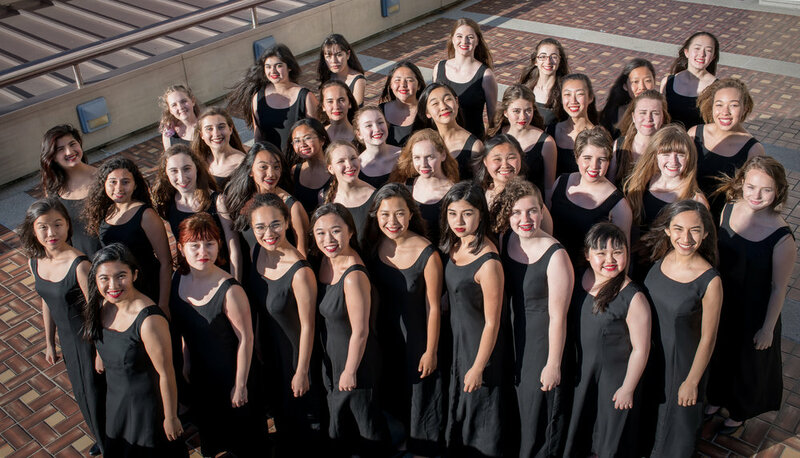 Voices of Music and the Grammy award-winning San Francisco Girls Chorus will co-present a concert version of Henry Purcell’s opera Dido and Aeneas. In 1688, Purcell’s only opera was performed at Josiah Priest’s Girls School in Chelsea, London. No musical score survives from this performance; this concert is a recreation of what may have been heard at this time. 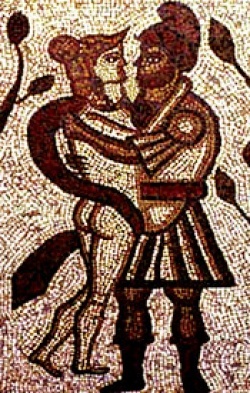 The libretto was written by English poet laureate Nahum Tate. Voices of Music is directed by Hanneke van Proosdij and David Tayler, the San Francisco Girl’s Chorus is directed by Lisa Bielawa and Valérie Sainte-Agathe. Soloists: Jesse Blumberg and Mindy Ella Chu. Hailed for their passion, artistry and technical brilliance, Voices of Music is currently the most popular Early Music ensemble in America. Under the leadership of Hanneke van Proosdij and David Tayler, San Francisco based Voices of Music performs music from the Middle Ages, Renaissance and baroque eras, drawing upon the many sources of historical performance practice. Our ensemble members are some of the finest musicians in the world.Voices of Music is a pioneer in digital technology for the arts. Since 2007, they have been building an online library of music from our concerts, free for anyone to see: their videos have reached 32 million viewers. They have released more than 300 videos, many of which are being used in classes at high schools, colleges and universities across the world. Their music appeals to people of all ages, and they are especially delighted that their largest online audience in now aged 18–34.Voices of Music offers a Concert Series with performances in Berkeley, Palo Alto and San Francisco. In addition to concerts, they offer highly innovative and successful outreach programs, including the Young Artists Program, the Bach Competition, the Junior Recorder Society and the Barbary Coast Recorder Orchestra. 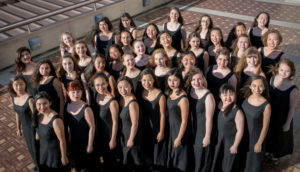 Stunning vocal range, flexibility, drama, and power are among the hallmarks of the 39-year-old San Francisco Girls Chorus Premier Ensemble, recognized as one of the world’s most widely known and respected vocal ensembles for youth. Under the direction of composer-performer Lisa Bielawa and Music Director & Principal Conductor Valérie Sainte-Agathe, the Premier Ensemble has achieved an incomparable sound that underscores the unique clarity and force of impeccably trained treble voices fused with expressiveness and drama. As a result, the Chorus vibrantly performs 1,000 years of choral masterworks from plainchant to the most challenging and nuanced contemporary works created expressly for them in programs that are as intelligently designed as they are enjoyable and revelatory to experience. A leading voice on the Bay Area and national music scenes, the Chorus has produced award-winning concerts, recordings and tours; empowered young women in music and other fields, enhanced and expanded the field of music for treble voices and set the international standard for the highest level of performance and education. This season, the Premier Ensemble will present a three-concert subscription series in San Francisco at Herbst Theatre, Davies Symphony Hall, and the Yerba Buena Center for the Arts. In February, the Chorus makes its Carnegie Hall debut with Philip Glass and the Philip Glass Ensemble for a remounting of the composer’s seminal 1971 work, Music with Changing Parts, with a repeat performance in San Francisco. The Chorus will also present a co-production of Henry Purcell’s Baroque operatic masterpiece, Dido and Aeneas, with the San Francisco Early Music Society and Voices of Music for the 2018 Berkeley Festival & Exhibition and again collaborate with the San Francisco Opera, San Francisco Symphony, and Kronos Quartet. Also in February, SFGC will release its latest album, Final Answer, featuring the Kronos Quartet on Philip Glass’s Orange Mountain Music Label. Highlights from the 2016-2017 Season included SFGC’s debut at the John F. Kennedy Center for the Performing Arts with The Knights for the acclaimed SHIFT A Festival of American Orchestras. The Chorus also performed with the Kronos Quartet, for the ensemble’s festival at SFJAZZ and appeared on stage with the San Francisco Opera, San Francisco Ballet, San Francisco Film Festival, and Golden Gate Men’s Chorus. The Premier Ensemble also went back to the studio to record works by nine living composers, including Philip Glass, Lisa Bielawa, John Zorn, Meredith Monk, and Gabriel Kahane, with the Kronos Quartet for its forthcoming album, Final Answer, to be released in early 2018. Other recent performance highlights include the inauguration for President Barack Obama; Beethoven’s monumental Ninth Symphony with Gustavo Dudamel and Venezuela’s celebrated Simón Bolívar Symphony Orchestra; and the New York Philharmonic’s 2016 NY PHIL BIENNIAL festival at Lincoln Center. Recent touring activities have taken the chorus to Cuba, Berlin, Nordic countries, New York, Washington DC, and Oregon, for appearances at the Oregon Shakespeare Festival, Oregon Bach Festival and Britt Music Festival, with Teddy Abrams and the Britt Festival Orchestra. SFGC has also been featured at the American Choral Directors Association (ACDA) Western Division Convention in Salt Lake City, and represented North America in the prestigious World Vision Children’s Choir Festival in Seoul, Korea, and at the Gateway to Music Festival at the Forbidden City Concert Hall in Beijing, China. Founded in 1978, the San Francisco Girls Chorus’ level of training, performance, quality, range, and leadership in commissioning music for treble voices are lauded by musicians, critics, and audiences. The Chorus has been awarded numerous honors including five GRAMMY Awards and three ASCAP/Chorus America Awards for Adventurous Programming. In addition to its Premier Ensemble, SFGC is renowned as a regional center for choral music education and performance for girls and young women ages 5-18. Hundreds of singers from 46 Bay Area cities participate in this internationally recognized program, deemed “a model in the country for training girls’ voices” by the California Arts Council. The organization consists of a professional-level performance, recording, and touring ensemble; the four-level Chorus School training program; and a Preparatory Chorus for 4-7 year olds.